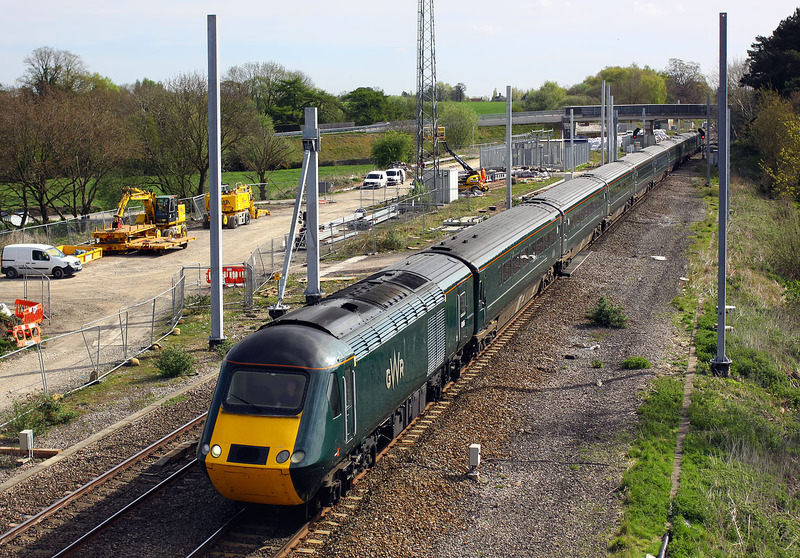 43005 passes the electfrication work site at Uffington on 11 April 2017 with the 1B20 09:45 Paddington to Swansea GWR service. This is the view from the newly erected footbridge, which replaces the former footpath crossing. Uffington station, which closed in 1964, was situated near the road bridge in the background.